Fear not DIRECTV faithful. 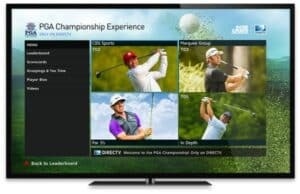 Neither the changing of the seasons nor becoming part of the AT&T family can keep the folks at DIRECTV from being the undisputed leader in sports and providing you with the ultimate entertainment experience. With NFL SUNDAY TICKET over for the year on January 3rd, you may be wondering what sports are going to fill your time this month. DIRECTV is the undisputed leader in sports, so let’s see if they have the sports you want to see in January and beyond. You can catch all the exciting, pounding NHL Hockey out-of-market action on NHL Center Ice this month. See below for more details. NCAA Basketball is on ESPN College Extra as part of the DIRECTV SPORTS PACK. Plus, we’ve added ESPN Buzzer Beater, ESPN Goal Line, and ESPN Bases Loaded to our lineup to satisfy even the biggest college sports fans. 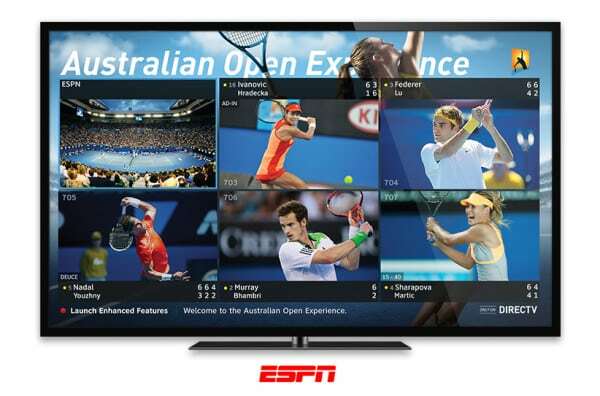 If Tennis is your love, DIRECTV offers exclusive, bonus coverage of every grand slam event.The Australian Open starts January 18th. 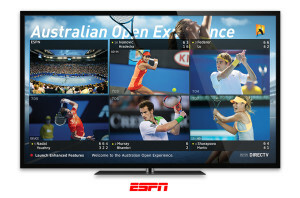 Watch up to multiple matches on one screen with the Australian Open Experience, plus special features only available with DIRECTV’s exclusive coverage. Plus get access to our interactive leaderboard, scorecard with expanded player stats, and player bios at the press of a button. All in HD. All included at no extra charge. LOVE the action on the hardwood? Want to see Lebron, Kobe, Kevin – Durant and Love, in action once again? Well you are in luck this month. *Actual number of games, varies by market. Blackout restrictions and conditions apply. **To access DIRECTV HD programming, HD equipment required. Number of HD channels based on package selection. Want to watch furious action on the ice? The NHL Season opened on Wednesday October 7th. NHL Center Ice gives you up to 40 out-of-market games a week. From the first face-off to the final stretch of the season, you’ll feel the excitement of the game as you watch all your favorite teams and players. Plus, you also get NHL Network ™ during the season at no additional charge. *Not all titles available in 1080p. To view programs in 1080p, the following are required: an HD DVR Receiver (model HR20 or higher), an HDMI cable connecting the receiver and the television, and a high-definition 1080p24 television. Not all models are compatible. 4. Dolby Digital 5.1 surround sound only available when provided by programmer. Equipment available separately. “Dolby” and the double-D symbol are trademarks of Dolby Laboratories. Add’l equipment & min. 2-room setup req’d. Add’l & Advanced Receiver fees apply. Every Live Out of Market Game Every Sunday! and MORE you cant get with Cable, DISH or Verizon! DIRECTV Crushes DISH in All Packages. DIRECTV gives you 16 more of your favorite channels than DISH’s comparable base package, and fewer music-only “filler” channels. You even get every out-of-market game, every Sunday, with NFL SUNDAY TICKET, exclusively from DIRECTV. The choice is clear. Upgrade to DIRECTV today. Its easy to see that DIRECTV gives you what cable just cant. 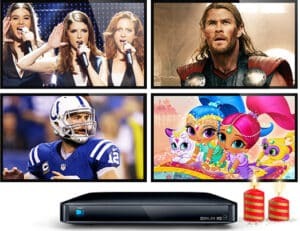 Better customer satisfaction, the Genie Whole Home DVR, NFL SUNDAY TICKET and so much more. *As compared to the major subscription TV cable and satellite providers. 2015 American Customer Satisfaction Index. Actual range of wireless signal may be affected by several factors, but not limited to: home construction materials, obstruction, electromagnetic interferences and other environmental factors. Connections of Wireless Genie Mini TV and power source are required. For residential use in a singe household only. NFL SUNDAY TICKET includes out-of-market games only. 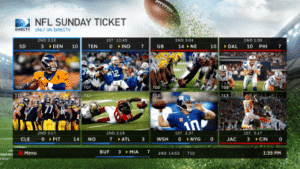 NFL SUNDAY TICKET MIX CHANNEL – NFL SUNDAY TICKET required. For full Mix Channel and Interactive functionality, HD equipment model H/HR 21 or later is required. When you switch from Cable or Dish today, DIRECTV Includes a Standard Professional Installation in up to 4 rooms at no extra cost. The Big Deal from DIRECTV! 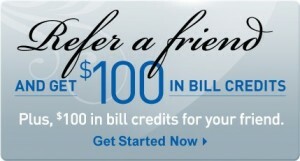 – Plus, the additional $10 off for 12 months savings! HD at No Extra Cost! After 17 years in the same office, Its All About Satellites has moved to a new & larger location at 10415 Comanche NE here in Albuquerque and we are celebrating! We look forward to serving all your video and audio needs! NFL Offer extended to 1/2/16. All other offers extended to 1/27/16. New residential DIRECTV customers only (equipment lease required). Credit approval required. Credit card required (except MA & PA). Pro-rated ECF fee (up to $480) and Equipment Non-Return fees apply.